While these two chapters of Da Mo Yao aren’t necessarily short, it includes a lot of exposition and more stage-setting, so my translation ended up summarizing more than usual. I decided to combine the two chapters, which pushes the story forward in showing Li Yan getting settled into the Palace, Yu Er and Jie Ye pretending nothing ever happened and going back to their nebulous friendship, and Huo Qu Bing setting off for his first battle with the Xiong Nu. Don’t worry about him, the boy didn’t end up memorialized in history as a warrior god for no reason. I’ve heard folks discuss casting hopes, so I just wanted to say that it’s set in stone already that Hu Ge is Huo Qu Bing, and I’m fairly certain Liu Shi Shi will be Jin Yu. Bu Bu Jing Xin 2 is confirmed (original cast, modern drama), but it won’t start filming until August, whereas Da Mo Yao starts filming next month in early March and will wrap up by the Summer, so Shi Shi’s schedule is fine. I’m sorry I haven’t put any pictures of Jiu Ye up, but Tangren still refuses to reveal his casting despite Ladyboss and Director Li confirming the role is cast and it’s an experienced actor. I’m hoping the final casting roster is revealed in the next few weeks so I can talk about what I think. I knock on the door, asking where Jiu Ye is? Xiao Feng tells me Jiu Ye is arranging his books in the study, and no one is allowed inside so I should wait outside for him. I ignore him and walk towards the study, which is the first time I’ve been there despite being familiar with the Bamboo Residence. The study is enormous and filled with shelves of books. Jiu Ye is arranging books, so I purposely walk loudly. He hears me and smiles, inviting me inside. He tells me to sit, he’ll be done soon. I make a face at Xiao Feng. I curiously look at the books, asking if he’s read it all. He answers that he has flipped through most of them. I assess all the books, ranging from philosophy texts to tactical manuals. I see another shelf with only one book, and then some sheafs of paper. I see the paper is all covered with Jiu Ye’s handwriting, and it discusses war strategy for conquering or protecting a city, how the philosopher Mo Zi lamented how the strong countries attacked the weak, and some more writing on how make weapons and how to keep warm in winter. Another shelf has only medical journals. One book, with Jiu Ye’s note on the side, is an anatomy text that also discusses male-female relations. My face flames and I drop the book, wondering why he’s reading it. He asks me if I read it, and I tell him with a red face that I glanced at it before but burned it afterwards. He looks confused and I realize he’s pointing to another book I am holding, which is in a writing I can’t read. I am so embarrassed I want to crawl into a hole. I try to explain I don’t understand this but wanted to study it because I was curious. I’m nervous and babbling, and I can tell he’s trying to control his laughter. He finally gives up and leans back on his wheelchair and starts to guffaw. He answers that he doesn’t even know where to start, so I assure him that I will always be on his side. He asks why I’m here and I explain I had the day free and wanted to come see him….and Xiao Feng. I suddenly notice a intricate crutch standing against the wall. Does he use it? I’ve never seen him on crutches before. As we walk out of the study, the door automatically closes and doesn’t open again, showing that the contraptions are not just for his ease of use, but designed by him to control who can access places within the Bamboo Residence. He explains that he’s heading out in a bit so I excuse myself. Instead he invites me along, to go visit some farms outside the city, where I can try some fresh fruit straight from the trees. I happily nod. Shi Buo drives the carriage himself and is told I’m not going back to Luo Yu Fan and will instead be coming along to visit the farm. Shi Buo appears to want to say something but doesn’t, just getting the carriage on the road. As the carriage enters the woods, there is suddenly the sound of horse hooves chasing us. I instinctively grab my silk sash with the gold bells on the ends. Jiu Ye just smiles and shakes his head, indicating that I needn’t worry. The horses and riders pass us by but Shi Buo knows they are just pretending. His horse whip comes down and their horses topple, sending the two men flying to the ground. They immediately attack Shi Buo but are quickly disarmed. The two men notice Shi Buo’s custom made horse whip and their expression changes from rage to stunned shock. They start talking to Shi Buo and kneeling before him. Shi Buo asks the kneeling man a question, which causes Jiu Ye’s smile to disappear. He orders the man to repeat what he just said in Han for me. I ask in shock “Who hired you?”The man refuses to answer, abiding by the code of the assassins not to reveal their client. Shi Buo explains I will never get the answer from them. I tell Shi Buo to let them go, and he does after Jiu Ye also tells him to do so. The two men promise to never divulge what happened here today, swearing an oath that I know is the most deadly oath for any traveler in the Gobi Desert. When walking away, one man runs back and kneels tearfully in front of Jiu Ye “I did not know this young lady is the young master’s person. I almost betrayed the grace you bestowed. I am no better than a pig or a dog” and tries to kill himself. Jiu Ye uses his bow to shoot the sword out of the man’s hand and tells him that he mistook Jiu Ye for someone else. Jiu Ye never bestowed any grace on him before. I’m still stuck on the sentence “this young lady is the young master’s person” and suddenly think these two guys are not bad at all. The two men know they did not make a mistake, since Shi Buo is personally guarding Jiu Ye. They discuss how their entire family has been graced by Jiu Ye’s benefaction and they continue to bow until their foreheads are bloody. I tell them to scram if they feel gratitude and not try to kill themselves, leaving us with two corpses to take care of. And in a steely voice, I tell them both they made a mistake in identifying Jiu Ye, and they finally get my drift and quickly promise to return to Xi Yu and never speak of today ever again. Continuing on our way, I wonder who hired these assassins, and did Mu Da Duo reveal I was alive. Was my life going to be in danger again? I tell Jiu Ye that I haven’t made any enemies in Xi Yu, and the only person who could do this can easily send his own men to kill me, so why use assassins. Shi Buo offers to find out more about this, but I tell him it’s not necessary. If its someone else I can handle it, if its that person, there is nothing I can do. We arrive at the farm, which is vast and lifts my spirits, reminding me that my life is within my own control. No one can try and take it away from me. I can see Shi Buo is intending something, and I pull him aside to remind him to let those two assassins go as per Jiu Ye’s orders. I run back to the farm and happily try to identify all the vegetables growing in the field. Jiu Ye finishes his meeting and joins me, teasing that I look like a farm girl. I walk with Jiu Ye along the field, the sun slowly setting, and the mood reminds me of the saying that “men farm and women sew”, and how people find happiness in living a simple life. After I get home, I take out a cloth and write down my thoughts. I see that Jiu Ye enjoys reading the scholars who extol peace for the common people over nationalistic expansion. Especially Mo Zi, who spent his life for the people, and trying to convince the smaller countries to band together to oppose the hegemonies. So does Jiu Ye want to oppose the Han dynasty? I can see that he’s conflicted and torn, and that his background is clearly not as simple it appears on the surface. I tell Hong Gu to hire m a teacher on the old scholars, especially Mo Zi, for me to learn. The teacher won’t come teach at the dancing house so I go and listen to his lecture, leaving me with much food for thought. When I return, Hong Gu excitedly tells me that the Princess sent lots of reward today because Li……has become Consort Li. Soon Consort Li might be sending gifts as well. 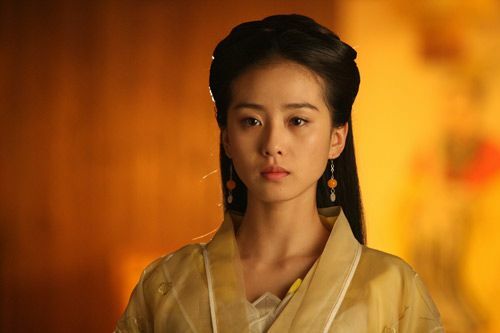 Hong Gu sighs that Li Yan is truly something, having only entered the Palace last Fall and already she’s become Consort Li, second only to Empress Wei. My attention is caught by the Lover’s Vines, where tiny white flowers are sprouting. I clap my forehead and ask if the Emperor has dispatched an army recently. Hong Gu looks confused, which gives me relief that the army likely hasn’t left yet for war. I tell Hong Gu to catalogue all the gifts and keep only what she likes, the rest will be sold for a good price now before one day we are in need of money and sell it for cheap. The city of Xu Fang is one of the Emperor’s tributaries at the border, so every time the Xiong Nu attacks Xu Fang, the entire Chang An city goes on high alert. When Emperor Wu of Han first ascended the throne, he vowed to eliminate this enemy. The Great General Wei was sent out and he managed to battle two of the Xiong’s Nu’s generals and regain valuable territory along the River South region. Liu Che ordered people moved to that region and there he built Xu Fang city. To protect the River South region, Liu Che once again sends his generals out. For this expedition, other than the Great General Wei leading the pack, General Gong Xun Che takes the left flank, General Gong Xun He takes the right flank, General Zhao Xin takes the first attack, and General Li Guang (Li Gan’s father) heads back the back support. The Great General Wei is given 60,000 troops for this mission to attack the Xiong Nu. Huo Qu Bing is named as a Captain and leads 800 of the finest Yu Lin Army warriors to head out to battle with his two uncles, the Great General Wei and General Gong Xun He. I sit on the top of a big tree staring at the road. Under the sunlight the armor glistens and makes my eyes a little glazed over. Huo Qu Bing, wearing an all black armor, rides a horse past, heading for the city gates. Compared to when he wore the wide sleeved robes, dressed in battle gear takes away some of his carefree nature and adds some dashing valor. His striking aura is palpable. I haven’t seen him in a month and his skin is almost the color of bronze. Looks like he was under the sun everyday. Even from a distance, I can still sense the tightly bound danger radiating from him. Suddenly I feel like he’s a lot like my own species. Like Brother Wolf, the shiniest beacon in the pack. Whenever the wolves are about to attack, he will just silently and surely look straight ahead, never wavering. He occasionally looks on the sides of the streets. I straighten myself and stand on the biggest branch to look at him. He finally meets my eyes and I smile and wave at him, pointing towards Yi Ping Ju’s direction, He doesn’t shift on the horse or slow down, his cold gaze not even changing in the slightest. When our eyes met his horse is already rushing past me. I turn my head and watch as his figure disappears in a trail of dust. I run into Shi Sheng Xing and Shi Feng as they are headed out of the city. Xiao Feng calls out to me and lets me know that Jiu Ye has sent someone to look for me. There is a gentle breeze blowing through the Bamboo Residence, and Jiu Ye is sting there feeding pigeons when I walk in. The pigeons scatter and the sudden movement of white only leaves me noticing the stillness of his blue robe. I ask him why he is looking for me, and he hesitates so I tell him to always be frank with me. He asks to borrow money from me, and normally he ought to explain why, but he can’t tell me anything. If the business goes well, he can repay me next year with interest. I gladly lend him the money. When I get back to Luo Yu House it is dinner time, and after going through the accounts with Hong Gu many times, all I can get is 1/3rd what he needs. She asks why I need the money for but I won’t tell her anything other than it’s to do business and make more money. I counter that she runs all the daily operations and I never need to worry about the businesses. She worked hard to get Consort Li into the Palace, so of course half of the gifts from the Princess is hers. She thinks anyone can run the house, but I counter that its hard to find someone as capable as she is. I write the promissory note and shove it in her hand. I think to myself, it looks like my original assumption was correct, Li Yan and Jiu Ye have the same goal in mind. Li Yan wants to stop the westward expansion of the Han Empire from within the Palace, while Jiu Ye wants to protect the kingdoms of the Western territories. Looks like I did the right thing by helping Li Yan. In the courtyard a woman sits and coos with her parakeet, both of them forever locked in a cage, keeping each other company. In the recesses of this Palace back residence (called Ho Gong, which is where the Emperor’s women live), under the curtains, how many women’s tears and youth have been locked away? Compared to the Han Emperor’s ladies, the Xiong Nu wives are somewhat happier. Even if they are lonely, they can ride horses under the blue sky. The women here can only quietly sit in the courtyard. Princess Yangping looks at me and notes that even having a parakeet as company is not bad. She thinks I’m smart enough at least….. One we step inside the residence, I give the Princess a look assuring her that I will be cautious. Li Yan smiles and stands up, welcoming the Princess to sit down. Li Yan waves me in from outside the curtain and then sends her maid away. After chatting, the Princess heads to go meet the Empress, leaving me to chat with Li Yan. He eyes are filled with embarrassment and a little bit of temper, which makes her look even more beautiful, and I just stare. “What a country-toppling beauty. The Emperor is lucky to have you. Even when he is stressed, seeing you will surely make him smile.” She asks what exactly I want, and I hand over a handkerchief with the Li character embroidered on it. She recognizes it as being identical to her old one, which she thought was lost awhile ago. I explain I burned the old one already and made a new one for her. I continue “The original handkerchief was found by third young master Li and he was anxious to find the owner of it, so I decided to burn it to avoid problems.” She asks “Li Gan?” I ask if there is another third young master Li in Chang An? She asks why I brought a new one if I burned the old one. I tell her to burn this one if she wants. We sit in silence, and then she asks if I knew about the deadly frost this Winter in Xi Yu? I’ve heard, and there has been a huge influx of dancers from the Xi Yu. Now, the price of watching a dancing show can buy the virginity of one of the dancers, that is how desperate they are. She coldly remarks how this will cause all the dancing houses to engage in a price war until these girls will be worth nothing. I tell Li Yan that I have ordered none of my dancing houses to lower their prices or wages, and she knows I am helping these girls in the only way I can. I laugh that it’s for my on gain, since a price war will mean that the prices will stay low for a long time. She sighs, chiding me for refusing to accept a compliment. I tell her that despite growing up in Xi Yu, I don’t have any emotional ties to there, so I don’t have a strong desire to help Xi Yu. Everything I do is for the business of the dancing houses. She wishes I had the same feelings as her but knows these things cannot be forced. She is just glad I am not standing in her way. She asks about business and I say it is good thank to her. She asks about her brothers, since she doesn’t have a chance to see them often. I say her second brother is now running with a pack of rich young masters in the city. She sighs that he’s always been the spoiled and pampered one in the family, and asks me to talk to him for her so that he doesn’t get into any trouble. I stand up and say that I don’t want to manage her two brothers for her, and she tells me I ought to care if not because Li Yan Nian composed all these tunes for the dancing house. As I head out I suddenly run back inside, informing her that I am so lucky that the first time in the Palace I actually managed to see the Emperor, who is walking with the Princess in the distance. She smiles and tells me to wait with her to welcome the Emperor, the Princess will surely speak well of me. Xiao Qian lands on the window sill and I remove the cloth, chiding him for needing to go on a diet soon or else he’ll become a small chicken. In the note, Jiu Ye asks me where I learned some new Xi Yu phrases, and then reminds me the two pigeons need to go on a diet or else they will be ashamed to call themselves pigeons. I laugh out loud. I put this cloth in the chest with a smile. Seeing Li Yan, in addition to admiration, I am also scared of this woman. How strong must her hate and love be, for a woman to gamble on her entire life and the life of her child in a deadly battle of intrigue. I ask myself, and there is no way I can do it. If I had a child, I will never, ever, let the child get embroiled in a battle. I will teach the child the same things Papa taught me so that the child learns how to strategize, but I want to child to grow up happy and safe. Strategic intelligence is just something to be used to protect oneself. two chapters in one update? YOU ARE THE BEST MS.KOALA!!!!!!!!! Thanks for bringing up the casting thing because it was driving me crazy, quite literally. Especially after I heard about bu bu jing xin 2 (ok modern setting but a rehash of the original story? Hope not! I really want a sequel… Does anyone know yet?). Good to hear that nothing has changed yet casting-wise and I’ll keep my fingers crossed to the very end! I heard that BBJX 2 is either an adaptation of one of Tong Hua’s modern novels (specifically one called Secrets Hidden by Time) or they’re going to write an original script with some help from Tong Hua. Correct me if I’m wrong. Secrets hidden by Time will start filming soon, but it’s by a different producing company with a different cast. BBJX 2 is rumored to use an orginal script set in the modern business world. Just want to say thank you before I dive into reading. You are the Best. Many thanks for your chapter update. GBU and please take care of yourself. Thank u thank u! Didn’t see 2 in 1 comin^^ u are really really gr8. Three chapters in a day! Thank you! I let out a SCREAM! Thanks for this news. I wonder how low and how high the modern day characters lives will be. Excited…. Firstly, for anyone who wants to spoil me, who sent the assassins? JY seems to think YZX is the most likely candidate, but I can’t bring myself to think so. I actually considered Mu Da Duo, who may be jealous of the attention that YZX and Yu Dan used to lavish on JY. If it is her, then she did a good job of acting sweet around JY in the previous or so chapter. And my other candidate is actually Li Yan. I don’t know what her motive would be at this point, but I do know that I don’t trust her. Which brings me to my next point: Why oh why, JY, did you return that handkerchief to Li Yan and tell her about her admirer in Li Gan? I can just see the wheels turning in Li Yan’s head as to how she’s going to use this hapless, infatuated young man to her advantage. In fact, the one thing that annoys me about JY is her imperturbable self-confidence. As other characters in the book have noted, she’s always so calm and cool. But then she does something really idiotic (in my opinion), like give that handkerchief back to Li Yan, and I just want to smack her a bit and tell her to use her brain since she clearly takes great pride in believing herself so smart at strategizing. And finally, Jiu Ye, why are you roping JY into your dealings? So maybe you’re really hard up on cash at the moment, and yes, JY would gladly lay down her life for you, so it’s completely her prerogative to lend her money to you. But you also have a choice as to whether or not to entangle her, however unwillingly on your part or unwittingly on hers, in your political affairs. So I really, really, really wish that you had just let her continue to be carefree and innocent. I found her giving the handkerchief to Li Yan a brilliant move. Pretty damn cold, but strategically sound. Since she’s confirmed that Jiu Ye wants to help Xi Yu, which is also Li Yan’s goal, then the more she helps Li Yan succeed in getting the Han Empire off Xi Yu’s back, the quicker she can help alleviate Jiu Ye’s woes. By giving Li Yan the handkerchief, she’s letting Li Yan know that she’s got an admirer in Li Gan, and the rest is up to Li Yan to do with as she wants. Of course Li Yan is going to put that information to good use and find a way to string Li Gan around her finger. Yu Er has said before she lives in the moment, she doesn’t make decisions considering whether her position might change. Ergo, she likes Jiu Ye, so she’ll help him achieve his goals. She’s willing to take the risk that things might change in the future and her decisions now will come back to bite her. And it will. But that’s much later. Mrs. Koala, I do understand that JY told Li Yan about Li Gan in order to indirectly help Jiu Ye, but even I could already smell the trouble brewing from a million miles off. JY’s strategem just seemed so incredibly short-sighted that it seems ludicrous to even call it a strategy. Funnily enough, one of my gripes with BBJX, or rather with RX, was that she was such an overthinker of everything. On the other hand, because BBJX is written from the first-person point of view, at least in the “heat of reading”, I could go along with what RX was thinking, even though when I stepped back from the book, I would then start yelling at RX to stop darn thinking so much. In DMY, conversely, I have the opposite problem with JY. Her decisions are quick and decisive, and she doesn’t spend a lot of time dwelling on the “what ifs”. She knows what she wants to achieve and so she picks the road that she thinks will lead to that, most directly or most quickly. On the other hand, as the reader, that leaves me a bit cold, because since she doesn’t have these incredibly long internal monologues going on, that doesn’t give me a chance to “pick her brain”, so to speak. Basically, before she’s even done completely satisfying me as to the merits of her decision (and I don’t have to agree with them, I just have to agree that I think she knows what she’s doing), she’s already “flitted” to the next item on her list. I’m thinking the same that Mu Da Duo might be the one who sent those two assassins considering how infatuated she is with ZYX. She must have known ZYX loves Jin yu and most likely keep her on his side largely due to his memory of Jin Yu, her childhood friend. fans happy. Let’s send good vibes out to these two dramas! Thank you for your translations and rapidness with which you are posting. OMG, you’re awesome! Thank you for the quick update! Although there wasn’t as many swoonworthy dialogue and lacking on the hotness of HBQ, I can tell that the things that happened in these chapters will affect the future. Poor HBQ, did he ignore JY because he was hurt from the last episode? Can someone spoil me as to who tried to kill JY? He was just totally in the zone, setting off the war. I love it. He’s so cold when he needs to be. But he saw her, and he was looking for her despite all outward appearances to the contrary. What was she pointing at when HQB met her eyes? What’s Yi Ping Ju? Oh that’s right, from Chapter 9 part II. Must be our equivalent of a 3-star Michelin restaurant. LOL. Thanks swui! Sorry, that should say “3 Michelin-starred restaurant”. Thank youuuu! Hmmm, I wonder who would have the most to gain with JY dead? OMG thank you Ms Koala you are the best! I check every single day because I know you are that awesome! Woot, woot! Two chapters in one go. You are beyond awesome, Ms. Koala. I’m rather sad that there is so very little HQB in these chapters. I wonder whta Jiu Ye will be doing with so much money and to think the reversal of fortune! Jiu Ye asking money from JY 😛 Can’t wait to read more. I’ve been checking your website every hour and now i”m richly awarded. The assassins can’t be sent by YZX as Mu would never reveal that JY is still alive, knowing that the man has been doing everything he can to find her again after Yu Dan was captured. Mu clearly knows how deeply YZX cares for JY and so maybe she’s the one behind the assassins, logically thinking. Jealousy must be the main reason. I don’t know what’s JY is thinking in send Li Yan into the palace, and now giving the handkerchief so that the Consort could make use of Li Gan..I can’t fathom JY’s ulterior motive. I just hope her love of poking into others’ business would not do her harm in consequence. I think JY’s raising funds for Jiu Ye to help the desert people will ultimately land her in a mess, vis-a-vis HQB. But XHuo so much loves her I think she’ll get away with murder! I’m not sure why there is confusion over Jin Yu giving the handkerchief to Li Yan. She’s confirmed Jiu Ye wants to help Xi Yu, and she knows Li Yan wants to help Xi Yu, ergo, the more she can help Li Yan, the more that will help Jiu Ye’s cause as well, because Jiu Ye and Li Yan have the same ultimate goal. Koala, just read your update about the casting and cheering right with you! Yessssss!!! I can see ShiShi again. I am confident that she can deliver. Let’s just hope that the production team can deliver the wolves as well because they are a crucial part of this story. On the upside, I love the blushing Jiu Ye (when she caught him looking at her). I wish there was more times of seeing this side of him. He’s always holding himself back, and keeping his distance from her, despite how much he cares. Anyway, I can’t wait for the next chapter(s)! However, remember: take your time, rest, and until then, THANK YOU!!!!! OMG, is the info about the LSS true? I’ve been browsing baidu and teiba but haven’t found any confirmation yet? Do you have the video? Shi Shi confirmed it in an interview today for the press junket of her movie “Sad Fairy Tale”. Lots of news articles about it. Thanks for the updates ockoala! As for GeShi leading DMY, I don’t think that is true, since weibo and GeShi tieba (Chinese forum) is too silent for the news to be true. Though, is there a link to the interview? GeShi tieba reported it already. For the past couple days the pursuits of real-life encroached on my drama time and DMY updates. Now that I’m finally caught up on chapters 8-11, I can see the groundwork being laid for the epic-ness that’s to come. In the two chapters for this post, one of my favorite scenes came at the end of chapter 11 when she’s studying the gold silver flower vines. We get to hear Yu Er’s inner dialoge as she wonders about her future and that of her child (when/if one should come along) and likens it to the life cycle of the flowers. *That’s a very poetic way of making peace with hopes that have yet to be realized -or if whatever was hoped for (marriage, kids…etc) never came. There is still beauty in a full life, well lived and without regrets. I have finished reading Da Mo Yao and got into the craze of reading chinese novels and went ahead to read 三生三世，十里桃花 (only to realise that the movie is coming up and Hu Ge is starring in it!). Do you have anymore chinese novels to introduce? I read 天霜河白 BY 倾泠月 recommended by someone in the forums. It was nice at first but soon got pretty draggy. I would prefer a novel that is like Da Mo Yao, with more interactions between the OTP. On another note; Omigah!! BBJX 2, a happy ending for 4th and RX! Thank you so much for summarizing DMY book :)))))))). Love youuuu so much!!!!! Comments regarding the story, why oh why my guts are telling me it is Li Yan who sent the assassins to shut up JY forever because of JYs knowledge about her plan in the palace. It can’t be MDD, can it? More than one comment has raised suspicions about her. What about the Empress Wei? She could be jealous that her place is shaky, and want to warn Li Yan to be less ambitious. But that’d be a bit drastic, wouldn’t it, considering that Li Yan is not even pregnant. ah Tang Ren is keeping a secret on Jiu Ye… I DO NOT hope it will be Yuan Hong, please god no. As much as I love YH, he is the perfect HQB, not Jiu Ye. I really missed HQB in these chapters. I really enjoyed this one. Who would want to assassinate her? The field trip was interesting…Jui Ye does not do something without a reason. Yu Er ‘s loyalty to him is commendable, and I love that he asked her for help. BUT. I think the strategy that she used to help Li Yan is being used on her by Jui Ye. Yay for Shi Shi being our heroine! Thanks for another fix on the DMY novel. Once again thanks for the translations.